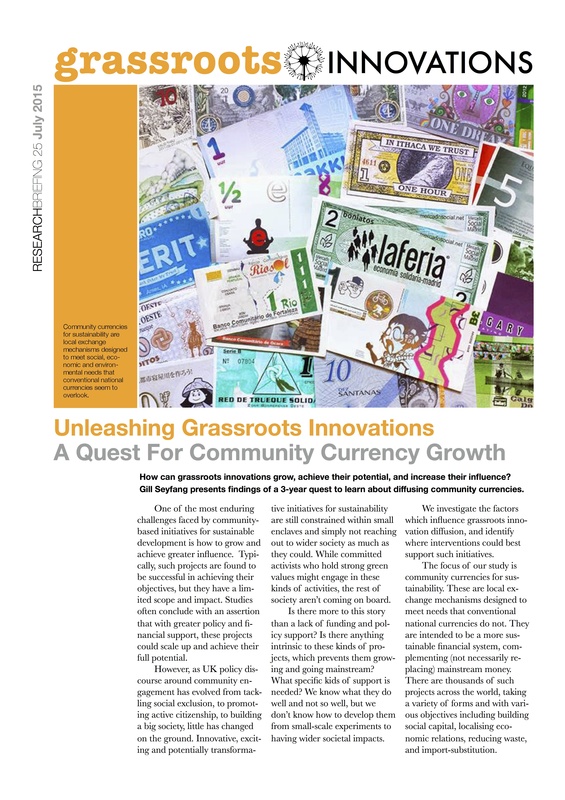 A newly-published research briefing discusses how we can unleash the transformative power of grassroots innovations, looking in particular at community currencies. How can grassroots innovations grow, achieve their potential, and increase their influence? Gill Seyfang presents findings of a 3-year quest to learn about diffusing community currencies.